Interested in undertaking a First Aid Course? Comment on the Facebook post you saw this on with a ‘Maybe’ or ‘Yes’. -Review of First Aid kits. -Questionnaire at end of class and ongoing assessment on techniques throughout the day. Participants who successfully complete this course are issued with a Statement of Attainment in HLTAID003; which is current for 3 years. 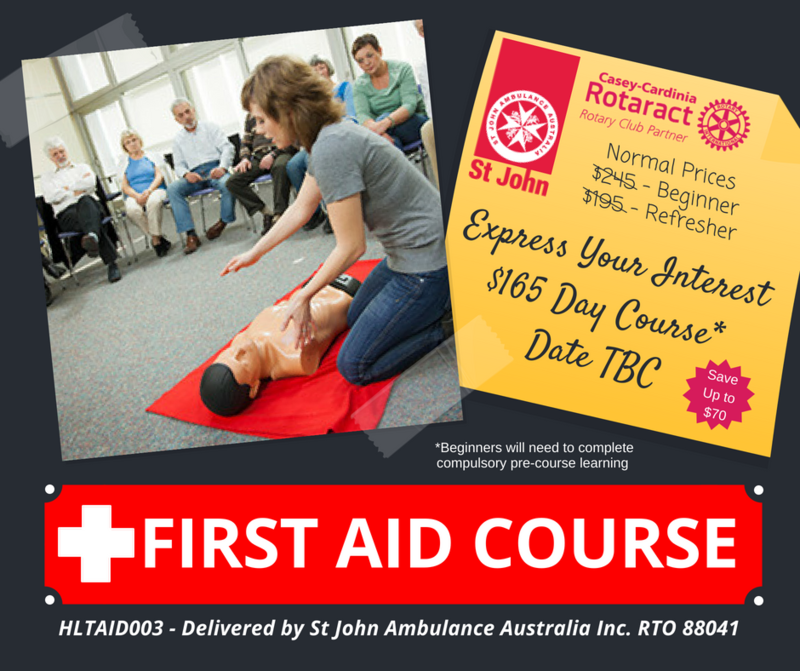 Provide First Aid (1 day) – $165 each participant. Maximum 16 participants. Provide First Aid (1 day) –Online pre-work required. A USI is a reference number that allows an individual’s training and qualifications gained anywhere in Australia to be kept together.